For over 25 years, the Alicart family of restaurants has been offering an exciting and unique spectrum of dining concepts. 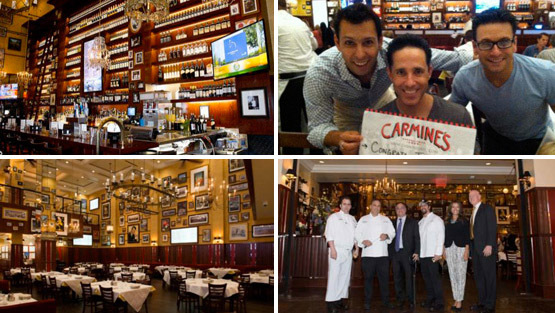 The Legendary Carmine’s Family Style Italian restaurant—with locations in New York City’s Theater District and Upper West Side, the Tropicana Hotel and Casino in Atlantic City, Washington Penn Quarter, the Atlantis Resort & Casino in the Bahamas and our newest location in Las Vegas at the Forums Shops at Caesars Palace—serves exceptional southern Italian cuisine in abundant portions designed for sharing. Our other specialty restaurant is Virgil’s Real BBQ located in Times Square, Las Vegas and Atlantis Bahamas serving genuine southern home-style experience with authentic BBQ and American dishes created by our many smokers on premise. We look forward to seeing you at one of our restaurants. 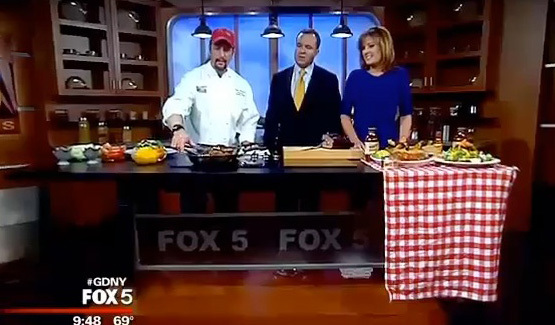 Executive Chef Neal Corman of Virgil's Real BBQ visited the Good Day Café to teach us how to make the perfect summer salad with leftover barbecue. 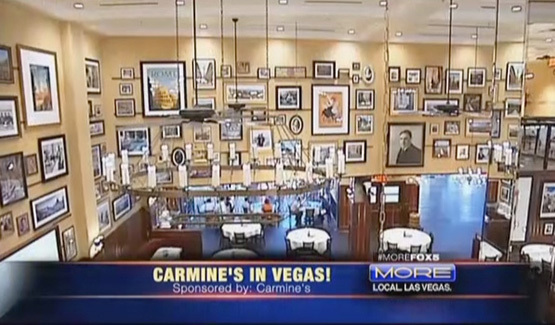 Check out Carmine's new location in Las Vegas at the Forum Shop At Caesars. We had an incredible launch of our new location at The Forum Shops at Caesars. A Times Square Italian restaurant that serves 1 million people a year is planning to open an even bigger location in Las Vegas next year. 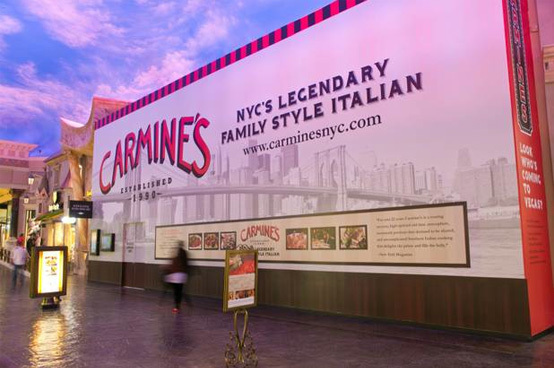 Carmine's will sprawl over 26,000 square feet of space at the Forum Shops at Caesars Palace. The restaurant will be twice the size of the Times Square location and among the biggest eateries on the Strip. Read the full article from Vegas Inc.
A well-connected group of restaurateurs, bar and lounge owners, hotel executives and liquor distributors with deep pockets on Tuesday announced the creation of an upstart trade group, the New York City Hospitality Alliance, to lobby legislators and city regulatory agencies in the five boroughs. 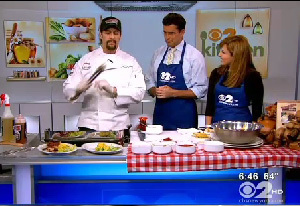 Cooking with Virgil's on CBS's 2 in the kitchen Neal Corman from Virgil's Real BBQ cooks for Memorial Day and shares recipes from 2 signature dishes. I love the notion of private label wines at restaurants. For a wine novice like me, when a restaurant puts its name on a bottle of wine, you have to believe at least the owners think it’s good enough to drink. Carmine's D.C. Hosts the Live broadcast of the Foodie and the Beast show. 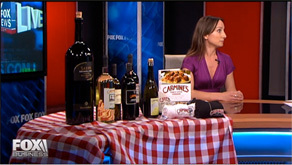 Foodie & the Beast, a restaurant review and food friendly radio show featuring David & Nycci Nellis filmed live from Carmine's Saturday afternoon with some of the area's top Chefs and mixologists. Carmine's D.C. Celebrate First Anniversary! 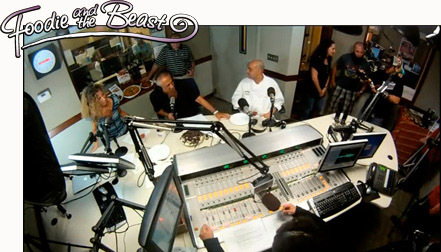 Jeffery Bank and the Carmine's crew appear on the Foodie and the Beast radio show. Jeffery Bank discusses the secrets of Alicart's success. Listen to the Bloomberg "Taking Stock" interview with Jeffery Bank as he discusses the secrets of Alicart's success. 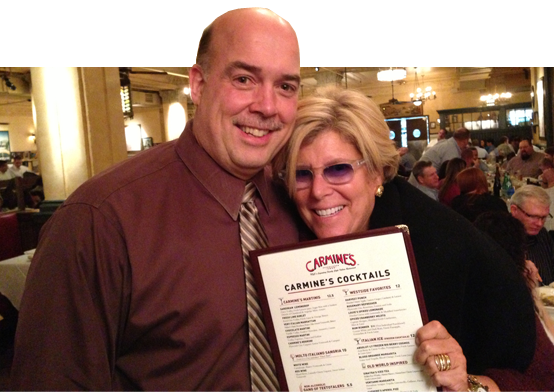 Listen to an interview with Jeffrey Bank on WTOP FM about the Carmine's Washington D. C. opening! Carry it home from Carmine's.